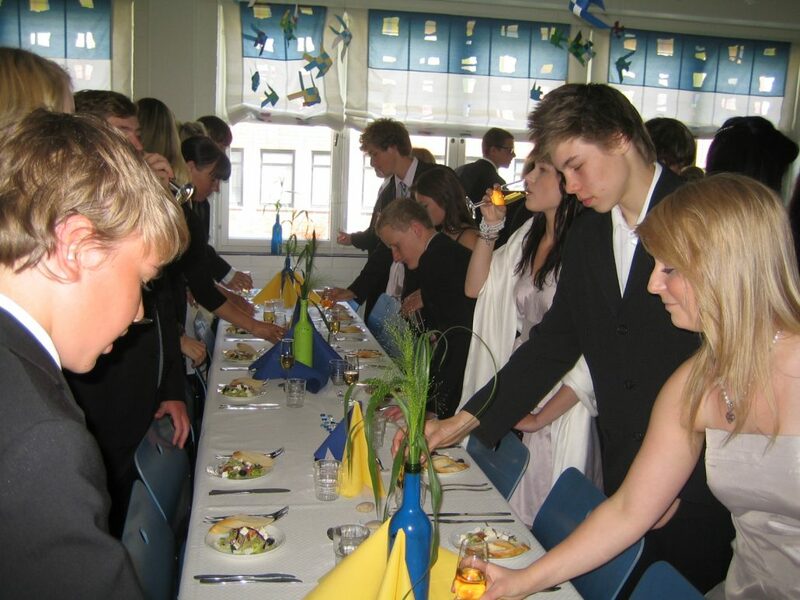 Two lunchrooms of the school have been changed for the biggest restaurant in the southern part of the whole Finland. Why and how is it possible? 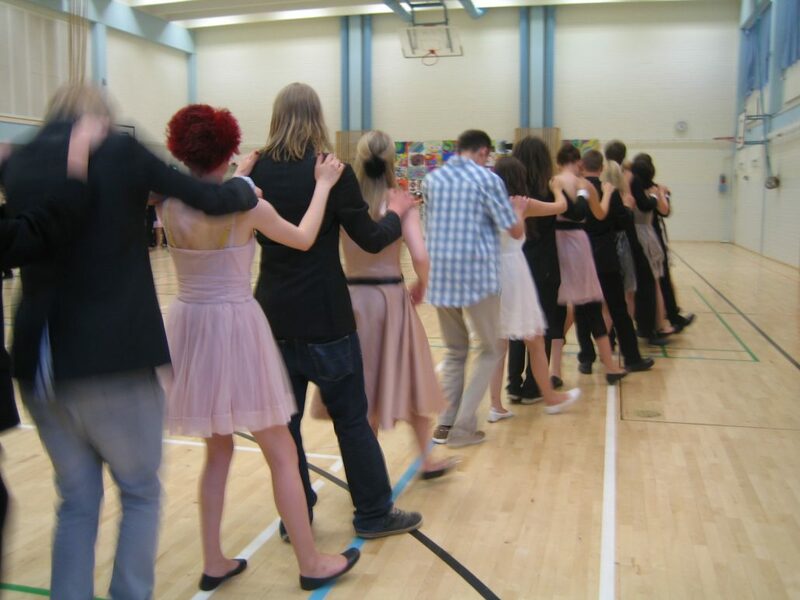 Every May the last classes of Kirkkoharju basic school in Finland are celebrating the end of their 9 years of studies. Most of 8 grades have started to plan this day well in advance. It means that they have to first discover a theme to the day. 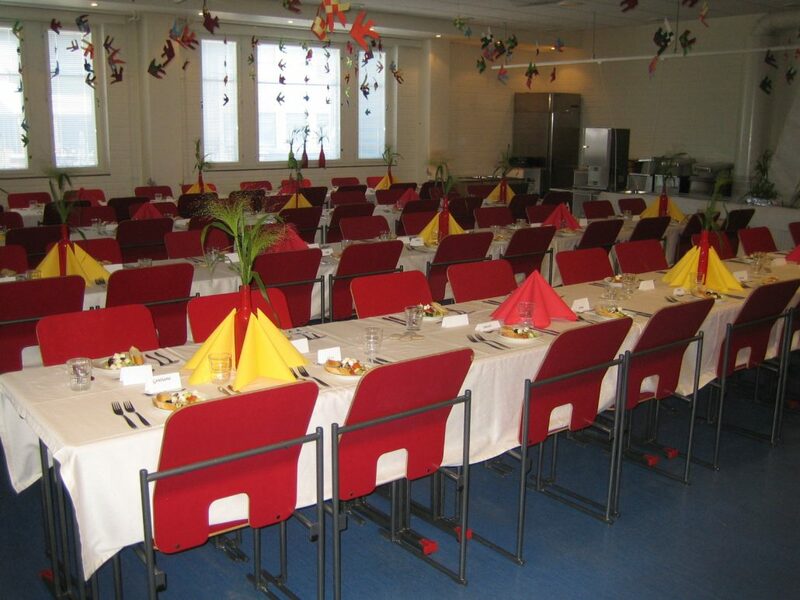 That theme gives them ideas for the decoration and the food that the kitchen staff will prepare. But before decorating the dining halls, the normal lunchrooms, students have to practice how to serve. The teachers of domestic science will be as restaurant managers or butlers. They will give the sign for waiters and waitresses so that all three kinds of foods will be served at the same time. The main role of celebration are the 9th grades, 15 year old students. This can be the last day they are together before going to the next step – half of them goes to colleges and half to vocational schools. They have also started to prepare this day months ago. Some of them have made their own dresses. Students have made the designs of dresses but also handicraft teachers have helped them to choose the right fabric. With class teacher the students have a possibility to talk about how to small talk with an adult in the table they sit together. They talk together about good table manners so that they can feel themselves relaxed and comfortable. Sport teachers have taught them different dances. Everything is ready for celebration. Waiters are waiting with the class of sparkling lemonade. Principal and assistance principal will shake visitors and students hands and welcome them. This is a good day to invite school partners, they can talk with students about their dreams and see how they have grown up to be the good citizens of community. They toast, they hear speeches, they are valued, there are resected. For many this is the only occasion where they are in the center of a happening together with all their friends. It is an exciting reception for the waiters that all goes well. 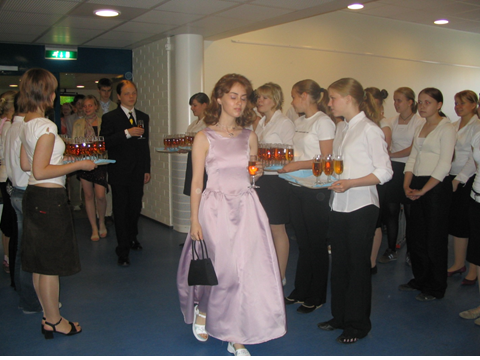 The occasion is exciting also for the 9th graders, but also for the staff of school. When we started to build this ceremony many adults said that it will be chaos, students will get drunk and break things! No – they have always behaved perfectly. When you give them the trust and responsibility, they are happy to take it. After eating, speeches and some program, it is time to dance. It is such a joy to look when students are dancing different kind of dances. Many months of preparations will come true. Well behaving students are ready to their future, with cognitive and emotional competencies – adaptability and social resilience. How to create the school for all students, so that every student feels that the school is their school? This is one example among many. What is the culture of your school – does it shape and grown the future-ready kids? We decided to build a holistic event, where every student will be part of it and where they can learn different skills and values. The students grow from youngsters to young adults and we support them during their journey!